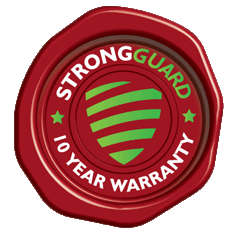 Strongguard began in 1996 as an idea formed around a kitchen table in Virginia, Queensland. The concepts underpinning Strongguard were formed as a result of unmet need in the industry. At this time, it was apparent that the roofing and guttering industry needed more client-centred services. Providing these services to an unrivalled standard has always been at the forefront of our priorities. In 1999, David Batt – now Managing Director – joined the Strongguard team as an estimator. For several years following this, our turnover doubled annually. Then, in 2002, Warren Hebbard joined the Strongguard crew. Warren had already spent many years working in the sheet metal industry. This made him a very valuable addition to the company. At the time of Warren’s arrival, we were operating from beneath a house in Nundah. With Warren and David’s hard work, our success continued throughout the subsequent years. Then, in 2004, we moved into a new premises in Hendra. This is the premises that we still occupy today. However, as you would imagine, it looks a lot different than it used to. Our team currently comprises 6 estimators, 2 office administrators, and a large team of roofing specialists. In total, Strongguard now employs as many as 30 people, during peak periods. Despite our considerable growth and enduring success, we have not forgotten the principles on which Strongguard is built. The same ideas that were conceived around a kitchen table in Virginia still underpin every job we attend. Namely, these are the principles of honesty and integrity. We always give our customers accurate and honest advice with regard to roofing and guttering solutions. We never prioritise money or work over the needs of our clients. We have found that our forthcoming approach is beneficial when it comes to developing the best solutions. By working with our clients and educating them as we go, our team is able to provide quality solutions on your terms. In most cases, this makes our clients feel as though their needs have been properly addressed. To consolidate our customer-based approach, we ensure that we use only the finest quality materials. Having been closely involved in roofing services for over twenty years, we know that long-term solutions are the only acceptable solutions. We have seen the consequences of short term ‘quick fixes’ on roofs across Brisbane. That is why we only settle for the best. At Strongguard we never take shortcuts, and we never compromise on quality. Our aim is to make our clients feel as though they have been treated in a manner that is both professional and friendly. This normally means our clients have no issues recommending us to family and friends. In fact, referrals form a very large part of our client base. We strive for growth and to achieve this, we will always meet the roofing needs of South East Queensland. David Batt is our managing director and he has been with us since 1999. Outside of his role at Strongguard, David is an avid golfer and swimmer. He also values time spent with his family and his dog. David began his plumbing apprenticeship in 1982, at the age of 17. At this time, he was working with Q-Build in Bundaberg, however this would soon change. By 1986, David was working on hot water systems in Sydney. This further expanded his unique skill set and experiences. With a diverse array of skills under his belt, David moved to Brisbane in 1990. Here he worked as a sub-contractor, installing plumbing systems in new homes. This was hard work and it saw David installing all manner of plumbing components, drainage systems and roofing. By this stage of his life, David had developed his skills to expert level. With this in mind, he began his own business – Batt’s Plumbing – back in Bundaberg. Under the title of Batt’s Plumbing, David continued to work on all facets of plumbing, drainage and roofing. This continued until 1999, when David was introduced to Strongguard. Through five years of hard work as a professional estimator, David became a partner of Strongguard in 2004. David has had a distinguished career, which has seen him recognised for his excellence in various fields. His foremost career highlight is becoming divisional secretary and chairman of Master Plumbers Association Bundaberg. This is a role reserved for those who provide excellence in service and professionalism. 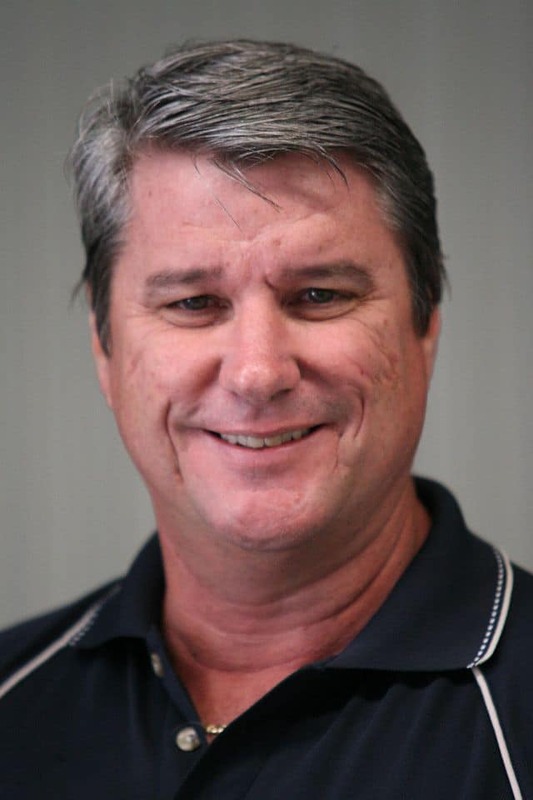 In addition to this esteemed role, David has also held positions as a member of the Queensland Construction Training Council and a member of the Master Builders Association Queensland. This collective recognition further fuelled his desire to learn new and innovative approaches to his profession. This desire endures today and it forms part of David’s daily motivation to work. He prides himself on being able to service people’s guttering and roofing needs. The notion of helping out and sharing some 35 years of expertise motivates David in each job that he does. David’s time in the industry has not been without frustration. He often sees other operators cutting corners in a bid to save themselves money. This is a practice with which he disagrees on a fundamental level. He is of the strong view that shortcuts have to be paid by someone in the future. That is why he is dedicated to quality. Likewise, he has committed himself to ridding the industry of high-pressure sales tactics and unnecessary upsells. For David, good business is built on honesty. Being in an influential position at Strongguard, David is able to instil his core values upon those who work with him. As a part of this, he has developed Strongguard’s client-based sales approach to perfection. He insists on offering accurate, pertinent advice; basing every quote on high quality work and backing up every job with extensive warranties and after sales services. Through service of such a high standard, David has built on Strongguard’s reputation for quality work, attentive service and strong work ethic. David’s specific role at Strongguard varies. He hasn’t forgotten where he began and as a result, he still meets with customers to advise them of their roofing options. In addition to this, however, he often meets with sales and trade representatives. David is also in charge of liaising with long-term clients, making executive decisions on advertising, and checking supplier invoices and pricing. On top of all these duties, David continues to steer Strongguard towards excellence. He is looking to develop even stronger working ties with long-term customers, to achieve mutually beneficial outcomes.